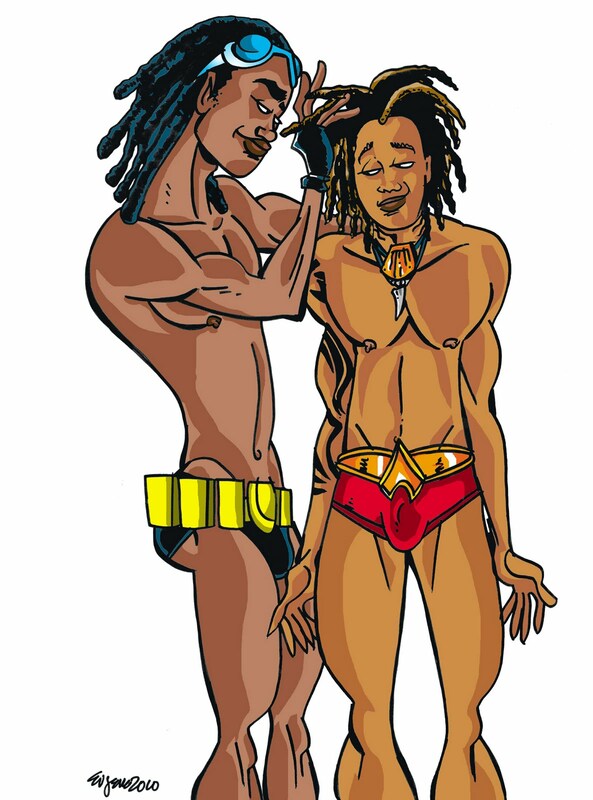 The new Aqualad needed a little "help" with his locks. Virgil (Static --- really cool in the Titans) was the only one qualified in the entire DC universe to "help." Loving these drawings. More and more, please! Maybe the Black Panther, unmasked, with the black Green Lantern (a.k.a. John Stewart) or Dr.Voodoo? Hmmm. Very interesting. Let me see what I can do. I'm not too into the Marvel characters, but ... hmmm.